Today I’m continuing my feature on Maori designers with a profile of Charmaine Love who creates both casual streetwear (her Kia Kaha line) and high-end apparel (her self-titled line). Love’s couture can be fun and eclectic as well as clean and classic with Maori aesthetic influences. Her garments are worn by celebrities, including singer Fergie of Fergalicious fame. 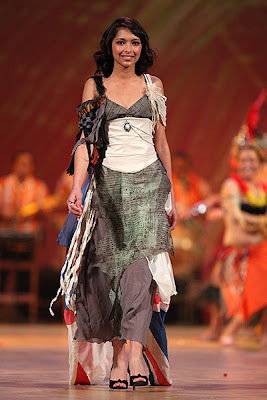 Kia Kaha designer, Charmaine Love first entered the fashion scene in 2004 - winning the coveted Supreme Award at Westfield Style Pasifika in Auckland. The Charmaine Love Collection was then launched at the popular Style Pasifika show at Air New Zealand Fashion Week, receiving great accolades from delegates and press who attended. 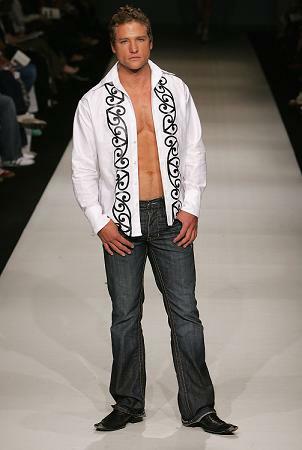 Successfully blending cutting edge fashion with unique Maori design, the label has become widely sought after. 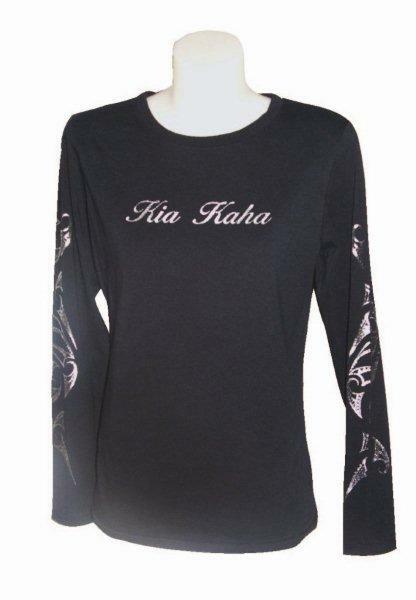 Her sportswear line, Kia Kaha, has always prided itself on designing and producing quality Maori inspired apparel. This season's range is no exception with an emphasis on unique Maori designs, quality fabrics and superb cuts. Kia Kaha fuses traditional and contemporary Maori imagery with quality garments that you will feel proud to wear. From unisex tees, men’s dress shirts and hooded sweats through to women’s fitted tees, caps, bags and accessories. Visit her website for more information about her designs, or go to her Kia Kaha website to purchase garments from her sportswear clothing line.